Home » byDESIGN Blog » Our Winter Newsletter is Here! The Winter byDESIGN Newsletter is here! Click here to download the PDF version. 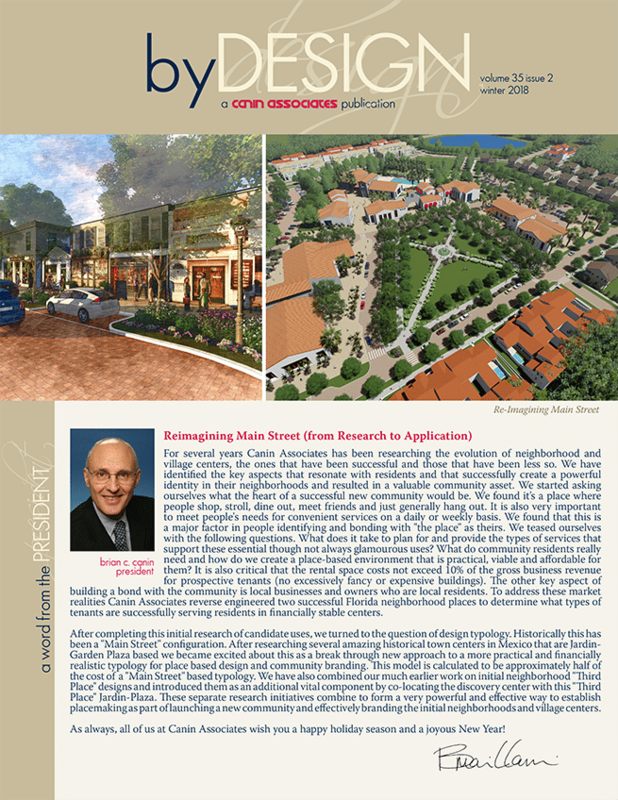 This edition features an article on the culmination of multiple research initiatives into a powerful and effective method for establishing placemaking for new communities. Also inside you’ll find articles from our Urban Planning, Landscape Architecture, and Architecture studios about our latest projects, achievements, and community involvement. A New Vision for Orlando’s North Quarter. Exciting New Amenities at Grande Lakes. A New Headquarters for a Local Business. From all of us here at Canin Associates, we wish you a happy and successful 2019! Don’t miss the next edition of byDESIGN by joining our mailing list!